Helping Small Businesses Grow online! Orlando SEO Guy is one of the top and dedicated SEO consultants in Orlando, We also have enjoyed tremendous success with our Ocala SEO division. We sport one of the most thriving customer track records in the Industry. Our goal as an Orlando SEO company is to provide Small Business owners with the proper customer service and providing the best outcome and higher google ranking for all of our clients in the Central Florida area and all of the state of Florida. Our Orlando SEO Services is the core part of our marketing activities which we excel in, we also provide affordable SEO, PPC, Reputation Management, and Social Media Marketing. Besides having expertise in SEO and Internet Marketing, we also provide skilled solutions to numerous other affordable SEO consultant services that will complement our powerful search marketing creativity, including Copy writing, Website design Conversion Analysis and Social Networking. Many are of the opinion that SEO isn’t mandatory. 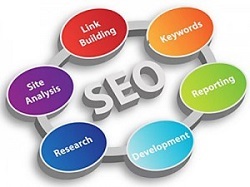 But we suggest it as the Essential; your SEO strategy should always be integrated with the rest of your marketing mix. We provide our clients with the proper SEO marketing plan, and get your ROI moving in the right direction, Higher! Being the #1 ranked SEO company in Florida has help us gain the reputation of helping our customers grow their brand and build a bigger customer base. Small businesses that’s looking for a reliable and trust worthy SEO company, pick us every time! With a pool of talented Orlando SEO consultants, we have been providing top-of-the-line SEO services that exhibit a blend of search engine sanctified techniques and innovative approaches to SEO. Through our systematic SEO effort, we empower our clients to place their websites at the top of major search engines like Google, Yahoo and MSN. Website Analysis – We add value to our Orlando SEO services by analyzing the websites of clients with regard to their different aspects like navigation, footer link, site map, user-friendliness, load-time, clutter elements etc. This analysis is critical to our optimization effort because deriving optimum result from SEO is only possible when your website is technically well-build and meets the search engine guidelines. Keyword Research – We carry out a comprehensive google keyword research to optimize your website for your target audience. On the basis of the market segment you want to cater to, we select/suggest keywords. It’s absolutely important to make your website relevant to the users and therefore to search engines. 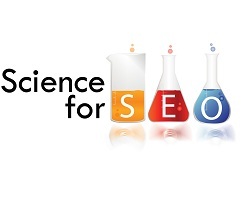 Our unique method of keyword analysis ensures not only traffic but also business. 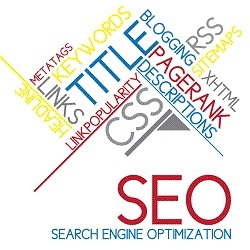 On Page Optimization – At this level of search engine optimization, the optimizers of OrlandoSEOguy.com will unleash their creativity to optimize different aspects of your website like texts, image, HTML, meta tags, alt tags, internal link structures etc. Our on page efforts are designed to support scrawling which is responsible for your website’s indexing and rank attainment. We are based in Orlando, Florida, but we serve Fort Lauderdale, Gainesville, Jacksonville, Miami, Ocala, and more. We are based on results, but unlike a lot of Orlando SEO companies we get results the right way! Using totally white hat methods of SEO which are Google guideline approved we can assure you we are taking no shortcuts in our strategies. We want you to get the best search engine results as we can but we also want to make sure you stay there ahead of your competitors for the foreseeable future and therefore we may take a little longer in providing the results but in the long run you will be reaping the benefits. OrlandoSEOGuy.com has open 5 new locations, Gainesville, Ocala, Fort Lauderdale, Jacksonville, Miami. With the growing population in those areas we have decided to expand our search engine optimization team to provide affordable service to small businesses in the area. With the amount small businesses we think providing National and Local SEO. If you are a small business owner and looking to generate more traffic to your website contact us today! We also provide SEO services to real estate companies throughout Florida.